These are the sort of stories Britons are reading beside Googling what is the EU. Incredible isn't it? After all these years in the EU so many voters do not really know what it is? As incredible is the top story: Man who voted for Leave says he thought his vote 'wouldn't count' and is now 'worried'. This brings to mind LKY warning us never to monkey with our vote because you might live to regret it. To me the nub of the issue for Brexit is just one word: Leadership. Every member in the 27 nations union have strong internal forces seeking to leave the union. Only responsible leaders are stopping them from achieving that. The now former PM David Cameron was reckless and foolish. If there is a lesson here for the other EU nations, it is to make sure your leader isn't another Cameron waiting to be unveiled. One leader, Winston Churchill stood up to Hitler and refused to be defeated. 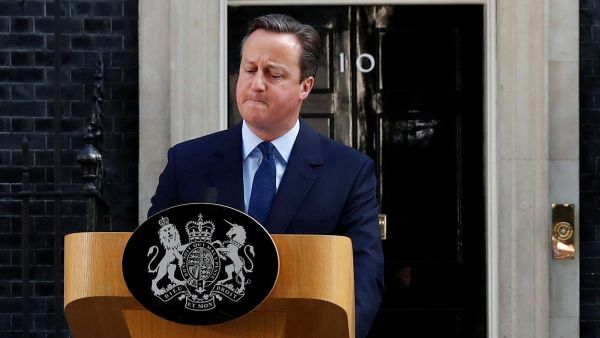 Similarly one leader, David Cameron surrendered the future of Britain to the worst elements of his society. The selfish and irrational losers who could not win were prepared to take the whole country down with them believing the wishful lies of Farage and Johnson. Die Zeit hosting a discussion between Helmut Schmidt and Lee Kuan Yew in 2012 at the Shangri-La had this on record. Get it? "Leadership figures". Which is what the UK lacks and is more lacking then ever. Therefore it is going to get much worse before it turn around for them. Without risking key security and economic interests, Merkel will make an example of the UK to warn the other members of the EU. The Union is Germany's ultimate security blanket, i.e., they want it more badly than any other nation on the continent. Jeffrey Sachs article to Project Syndicate proposed a helpful re-framing and change of minds about how to respond to Brexit. The most important is not to add fuel to the fire which is what European leaders are already loudly hinting (how else would we know right?) The big worry is where are the leaders to pull this off? If you count on the people to lead, that for sure is taking us down the wrong path of cutting their noses to spite their faces. These are the moments we got to see bringing people to a place which they are incapable of getting there themselves. That is the truest definition of leadership. Someone left this comment at the Guardian newspaper site. Reads like really finely crafted British treachery. Boris Johnson is getting his comeuppance. What a dishonest, slippery and deceptive person who had stooped at nothing just to be PM. At least on his way out David Cameron did something brilliantly right.